GALA Festival 2020 features eight morning Coffee Concerts to allow opportunity for unique and innovative programming that cannot be performed in a standard concert block. Coffee and light breakfast foods will be sold in the lobby before each concert. If selected for a Coffee Concert, this performance counts as your chorus' Festival performance block. The total time of your concert may not exceed 55 minutes. 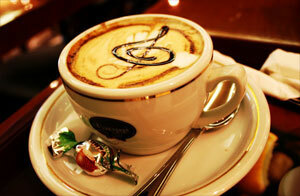 If not selected for a Coffee Concert performance, your chorus will be scheduled for a standard 30-minute performance. This fee includes up to four hours of cue-to-cue, tech and rehearsal time in the concert venue in addition to stage rental and basic backstage tech labor for the Coffee Concert performance. The chorus will also be responsible for any additional incremental backstage labor, sound, lighting costs incurred at the performance hall to support your performance. At Festival 2016 the average additional incremental additional cost was $320 with a range of $0 - $1,480. Selected choruses will also prepare a short video to be used to promote your Coffee Concert. connection to the mission of GALA Choruses. Check out the Festival 2020 Performance Halls. TIP: Applications are submitted via the web form below. We recommend that you download this Word Doc to prepare your application and attachments. Then copy and paste into the web form. Or, you may register here which allows you to save the form as a draft and complete your edits at a later date before submission. Upload a PDF or Word Document with the following numbered sections. Maximum length 5 pages. Describe your proposed program in detail including why/how this program was selected and concert length (the total time of your program may not exceed 55 minutes). 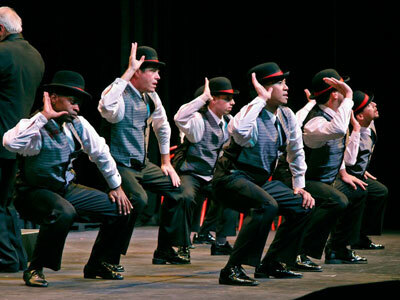 Describe any instrumentation, dancers, theatrics or other stage space needs. How is your concert program unique from other programming at Festival 2020? What makes it stand out? How do you ensure it will be of high artistic quality? Does your programming include a new commission or collaboration? How will your programming illustrate diversity and inclusion as a model for other GALA choruses? How will diversity and inclusion be visible on stage (singers, guest artists, instrumentalist, speakers) in terms of race, ethnicity, gender, age, etc. 4. Connection to the mission of GALA Choruses. How does your proposed program support GALA’s mission? Describe your chorus’ experience producing a concert of this type and the resources and skills you have to accomplish it. Indicate your preference for performance halls. We cannot guarantee availability but hope to be able to offer each choir their first or second choice. See the GALA Festival website for venue information. If your concert program requires a particular venue, describe that here. List general technical needs including lighting, sound, etc. If your concert requires significant re-configuration of a Festival stage describe it here (orchestra, theatrical sets, large choreography, etc). You will have a chance to submit more detailed information in your Production Worksheet (due spring 2020). If you have notes, questions or requests regarding your Festival performance, please describe them here. Submit three (3) audio or video recordings of your chorus. Applicants are encouraged to include at least one work similar to the proposed program. If a recording sample from your proposed program is available, include that as part of your audition selection and indicate this in the notes field for that track. At least one selection should be a complete piece. At least one selection must be an unedited live performance or rehearsal. If your proposed set includes a new commission or multi-movement work, upload a PDF of the score. If the work is not yet completed, include a copy of the libretto, as available. Otherwise, simply describe the work in detail in Step 2 above. Proposed Coffee Concert program as Word doc or PDF. Maximum of 5 pages. Choral score (if performing a new or multi-movement work that is completed) as a PDF or a description of the work to be commissioned. ALL materials must be received by March 1, 2019.